CHELSEA PARK GARDENS 33710 Marshall Rd. Abbotsford. Large 1 bedrooms avail. in park-like setting. 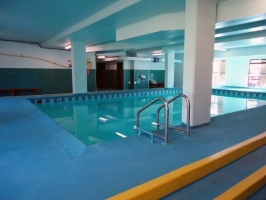 Includes heat, hot water, parking & indoor pool!! Close to hospital and UCFV. From $1,025/month. Approx 650 sq ft. Pets friendly.